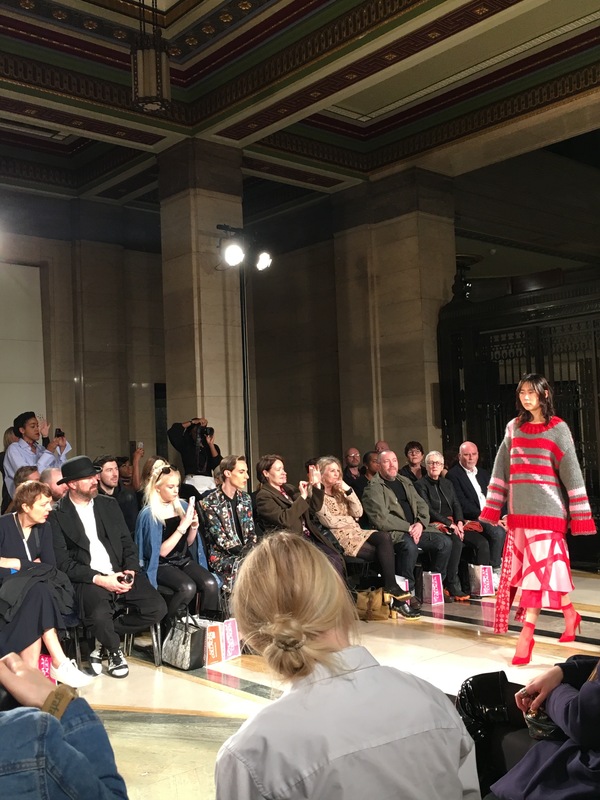 Katie Ann McGuigan’s show was, in my opinion, one of the boldest and freshest of the entire AW17 season. 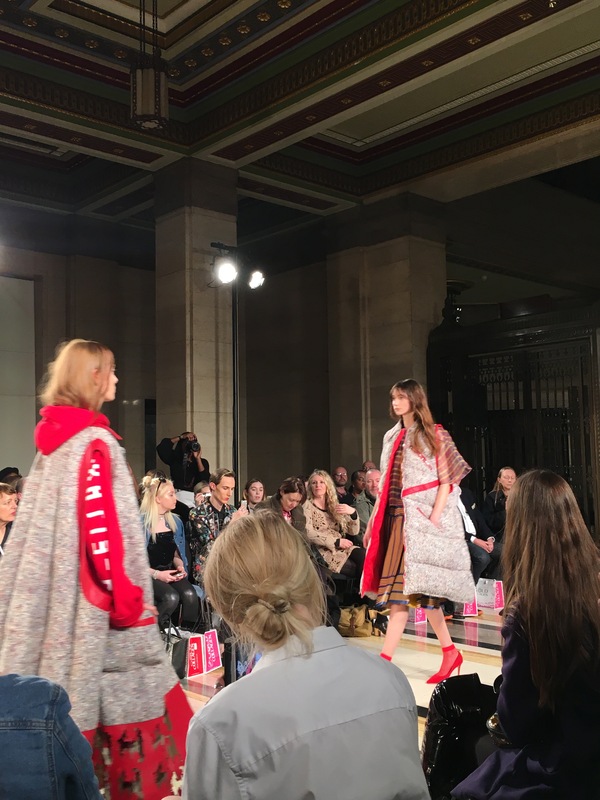 As the most recent winner of Fashion Scout’s Merit Award, Katie was granted a fully-sponsored catwalk show, which gave her a platform to explore new creative visions. 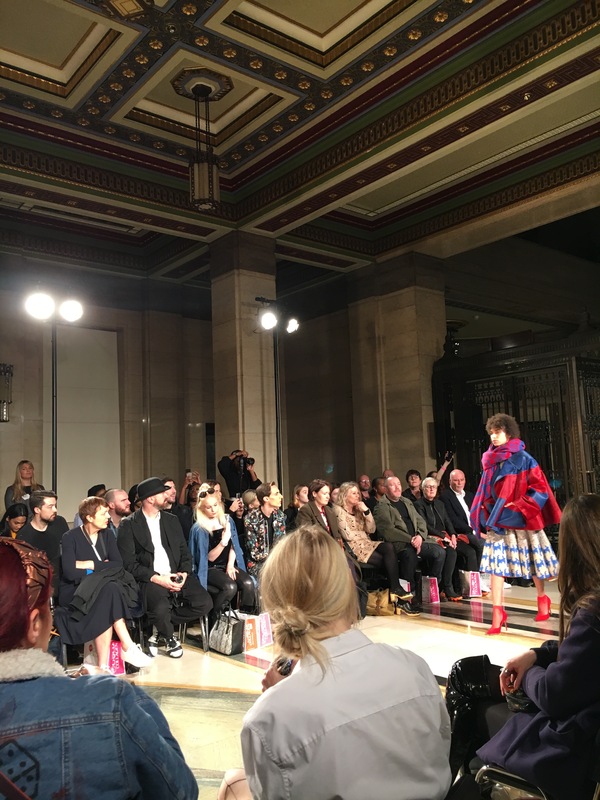 With this being her first collection since graduation, there was a sense of eager anticipation amongst the audience to see how her designs have evolved since leaving the University of Westminster, and in which direction she would decide to take her brand. Katie’s inspiration very much comes from art, whether it be photography, painting, or sculpture and this season, her collection hinges on the geometrical graphic prints she develops herself. She uses vinyl and laser-cutting as well as two types of ink-based printing, which allows her garments to become a wearable canvas of sorts. Favouring nappa leather over most other fabrics, her collection is an explosion of colour in a variety of soft, sculptural shapes. Although her silhouettes tend to be oversized and modern, they remain flattering. Her pieces are complex and striking but they are crafted with a restrained hand, which ensures that they never look costumey or gimmicky. 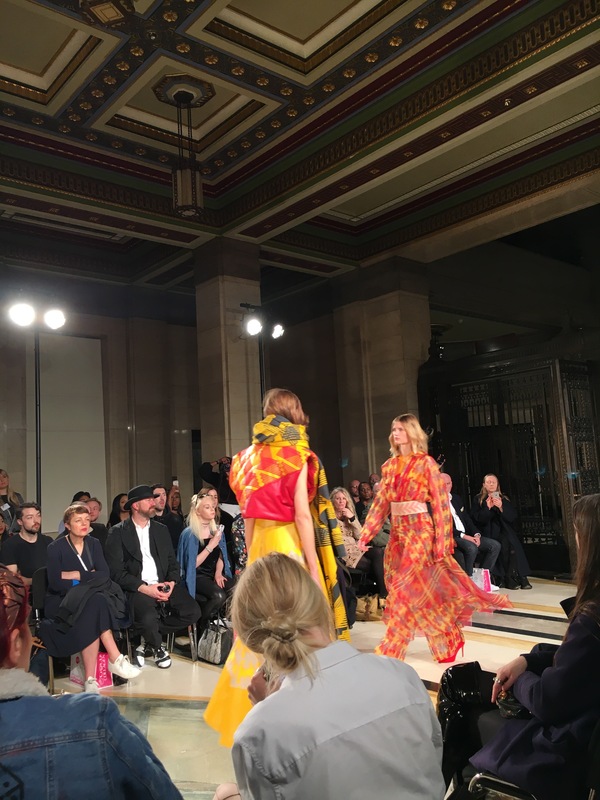 Her strengths lie in structured outerwear and her command of colour, meaning her palette for Autumn/Winter is distinctly more vivid than most other collections on the runway. If you’re looking to stand out, whilst staying warm and comfy, look no further than this year’s Merit Award winner!